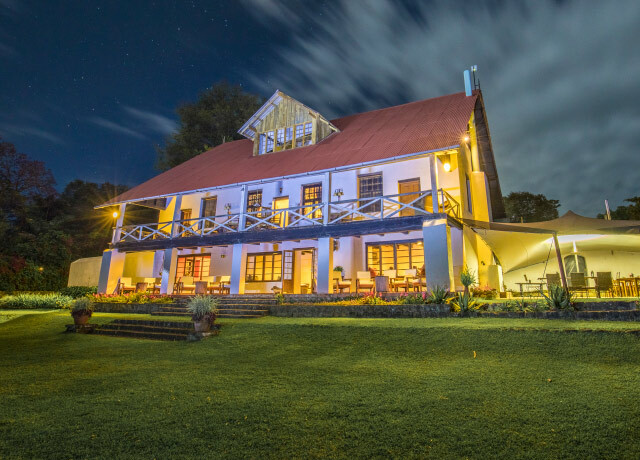 Ten gracious suites front an expansive lawn and lush gardens surrounding a 1905 German farmhouse, transformed from a historic colonial home into a tranquil lodge at the foot of Mount Meru. 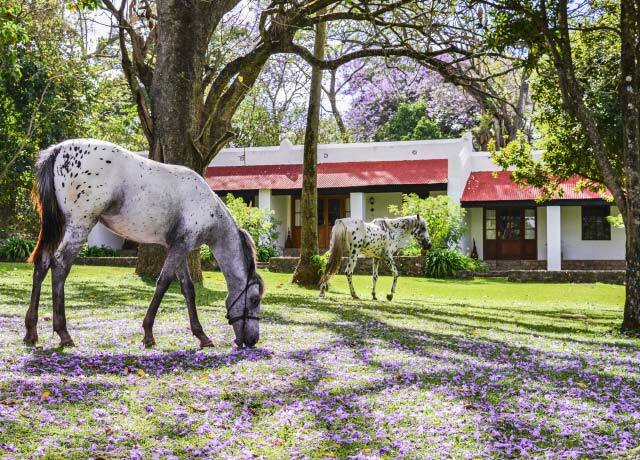 Before or after your safari, enjoy a serene setting among lush gardens filled with bougainvillea and jaracaranda surrounding a colonial German farmhouse at the base of Mount Meru. 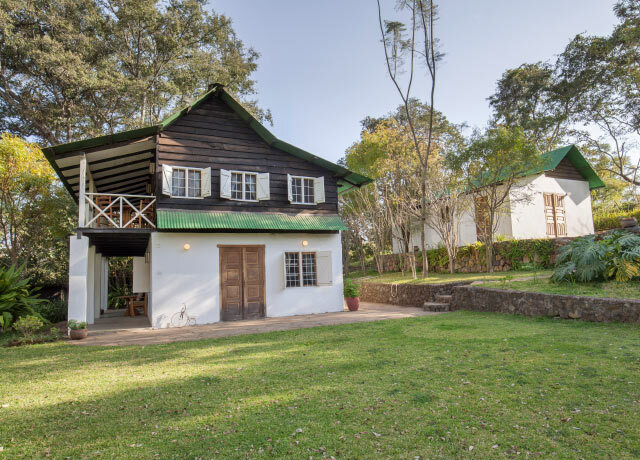 The original 1905 house was transformed in 1974 into a tranquil guest lodge filled with antiques, and it is still owned and run by the same conservation-minded family today. 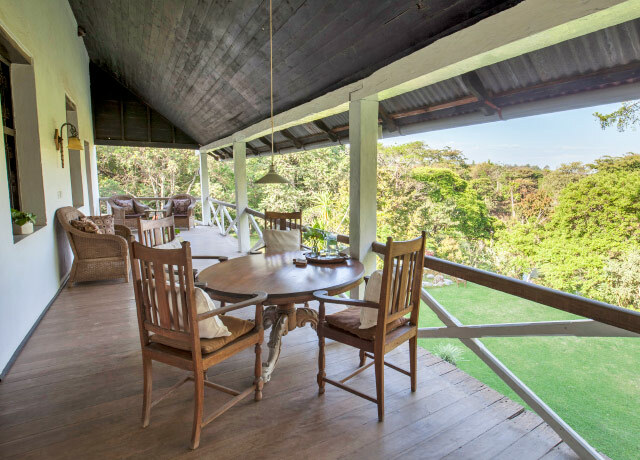 Long covered verandas offer views of Mount Kilimanjaro from overstuffed chairs, while indoors, a fireplace provides warmth when the sun goes down. Ten garden rooms front an expansive lawn across from the main house, with private porches for relaxing. 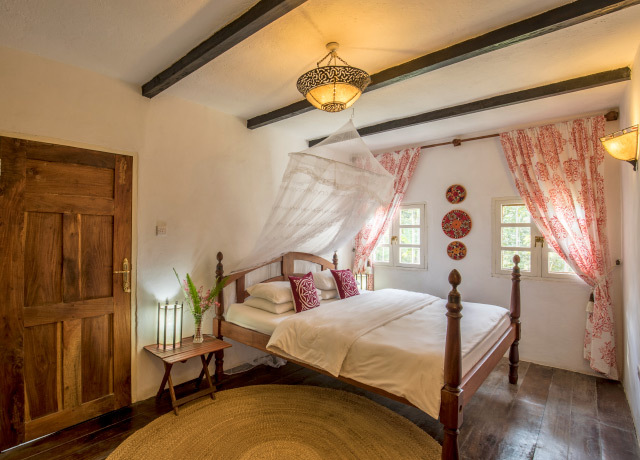 Beneath the beamed timber ceilings, sink into a canopied king-size Zanzibar bed or two twins, with elaborate carved wooden headboards. A separate lounge area is appointed with colorful local fabrics and handmade ottoman sofa. Each room has a large en suite bathroom with tub, rain shower, dressing area and separate toilet. 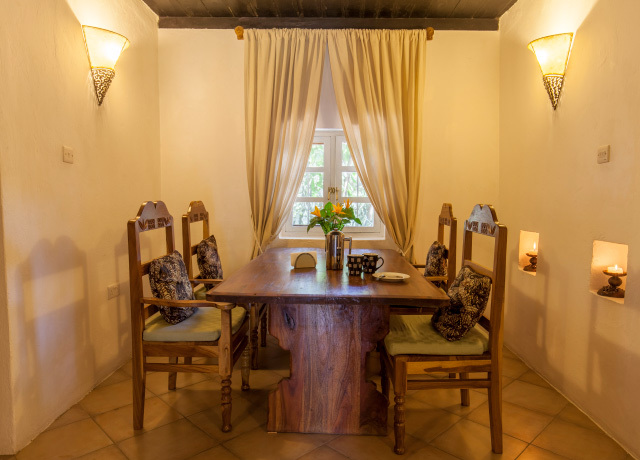 Meals at the main house are served in the dining room or al fresco on the shaded terrace overlooking the gardens and small lake. 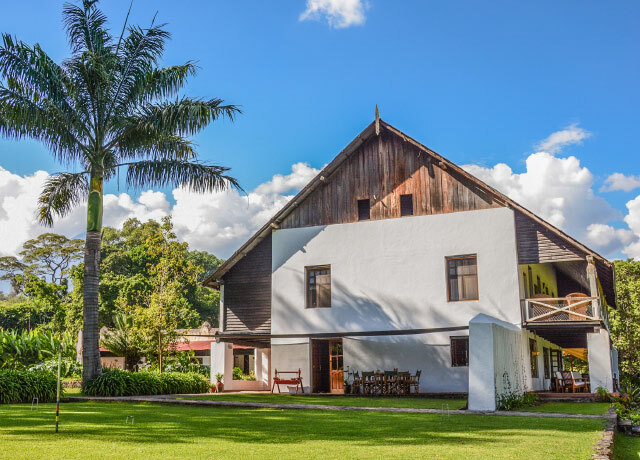 Menus feature homemade fare incorporating organic vegetables from the lodge garden and local small farms, fresh-baked breads and pastries, locally grown coffee that's roasted at the lodge, and more. The property generates its own hydroelectricity, and all drinking water comes directly from its natural spring, which also supplies fresh water to neighboring villages. 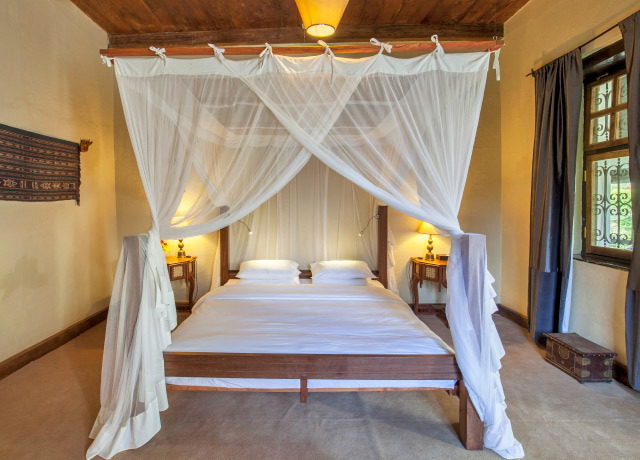 Do as much or as little as you like at Ngare Sero. 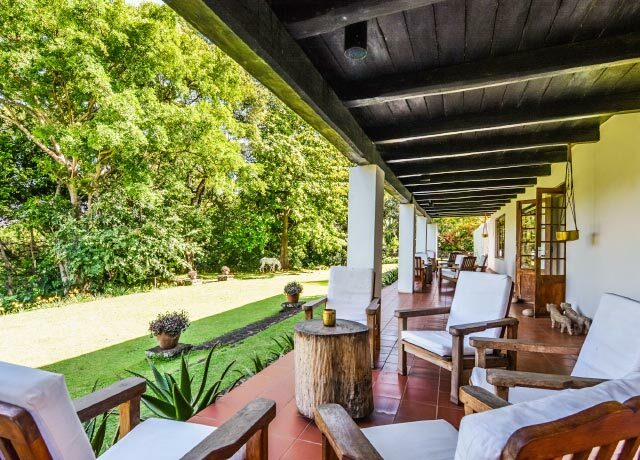 Fifty acres of sprawling grounds invite a stroll through forest that's home to black and white colobus and Sykes' monkeys. The owners have planted more than 3,000 indigenous trees on the property, which shelter native wildlife and 200 bird species. Take a boat ride on the lake, fed by crystal-clear coldwater springs rising in the forest and inhabited by many different frogs, freshwater crabs and fish. Ride a horse through the woodlands as you look for abundant birdlife. Play a round of croquet, take a refreshing swim in the 100-foot pool, or rejuvenate with a massage at the open-air spa, enhanced with essential oils. 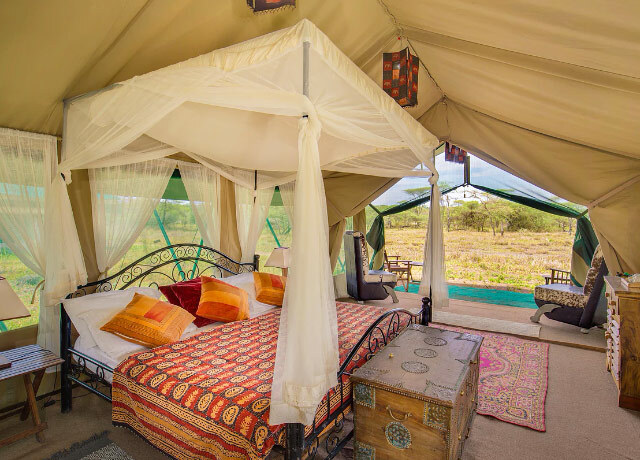 This elegant new tented camp in a far-flung sector of the eastern Serengeti enjoys an exceptionally isolated location with thrilling proximity to big cat sightings and the annual wildebeest migration. 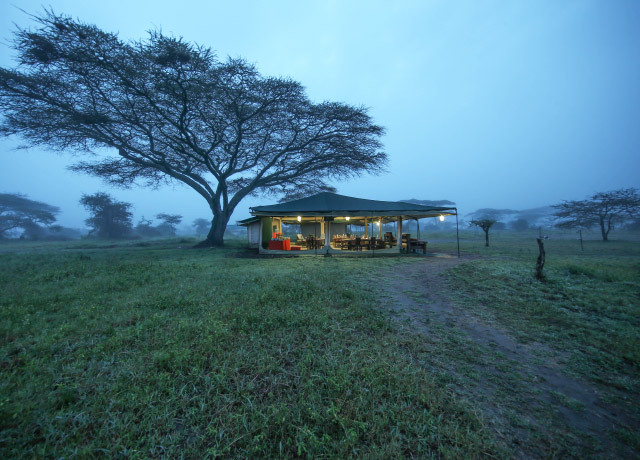 Ehlane Plains Camp offers the newest safari camp experience on the Serengeti's eastern edge. Located in an area that was previously off-limits to visitors for more than 20 years to further feline conservation efforts, Ehlane Plains Camp provides exceptional access to some of the Serengeti's most thrilling wildlife encounters. 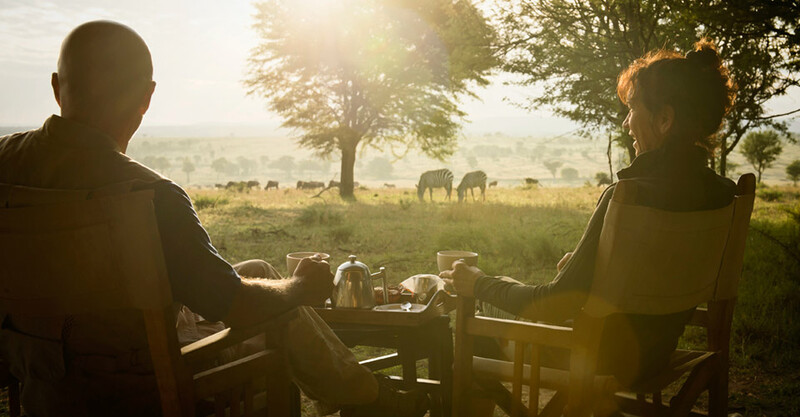 Ehlane is a Zulu word meaning "wilderness," which is what you’ll experience in this exceptionally isolated location in the Soit le Motonyi region, far from the main Serengeti transit areas. 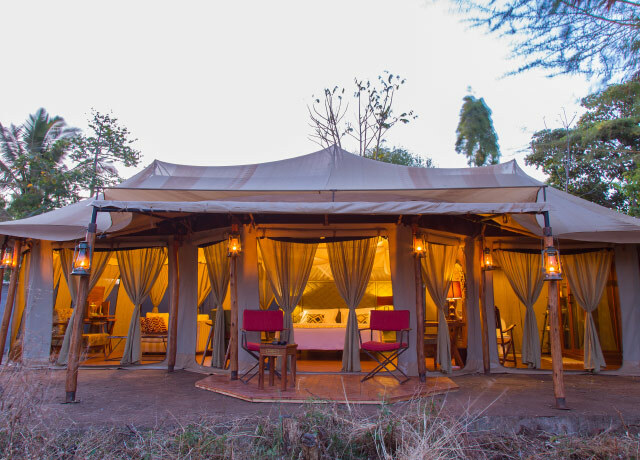 Yet you'll also experience genuine elegance at this refined outpost in the African wilds. 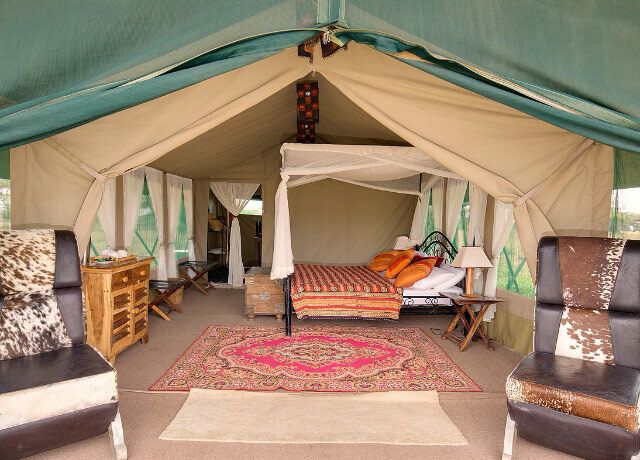 Located near the Ngare Nanyuki underground river, the camp offers outstanding proximity to the Serengeti's annual wildebeest migration. And it has some of Africa’s best big cat viewing, with the immediate region especially famed for its sightings of abundant cheetah. In and around the open camp, other wildlife comes and goes at will. Eight enormous tented suites have a clear vista on the wilderness beyond. Airy suites are furnished in retro-modern decor in a neutral palette accented with yellow and chartreuse. 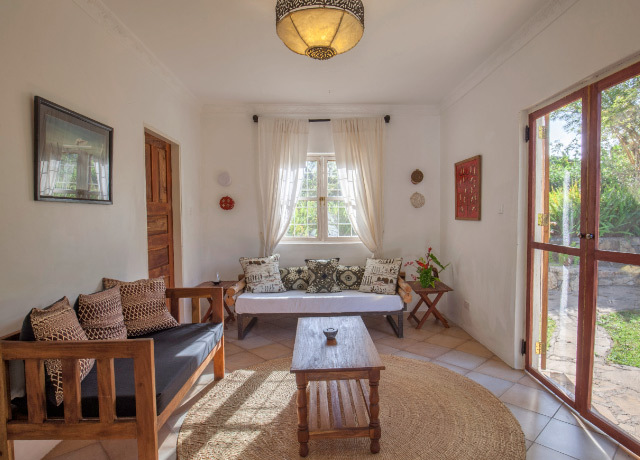 Each features a private lounge with comfortable couch and chairs, writing desk, dressing area, net-draped king-size bed outfitted with crisp cotton linens, full-length wall mirror and en suite bathroom with shower, wash basins and flush toilet. Wi-Fi is available in the central lounge area, and solar panels provide electricity for lighting and camp operations. Or let darkness reign as you fall asleep under a natural planetarium of some of the world's starriest skies. Our own deluxe mobile tented camp is situated to dovetail with the usual flow of the wildebeest herds through the Serengeti ecosystem, optimizing our chances to witness the migration at close range. 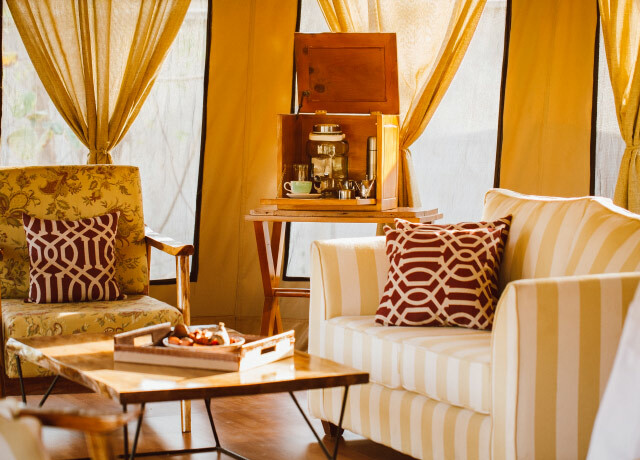 This deluxe mobile tented camp is designed to travel with the natural flow of the wildebeest migrating through the Serengeti ecosystem. 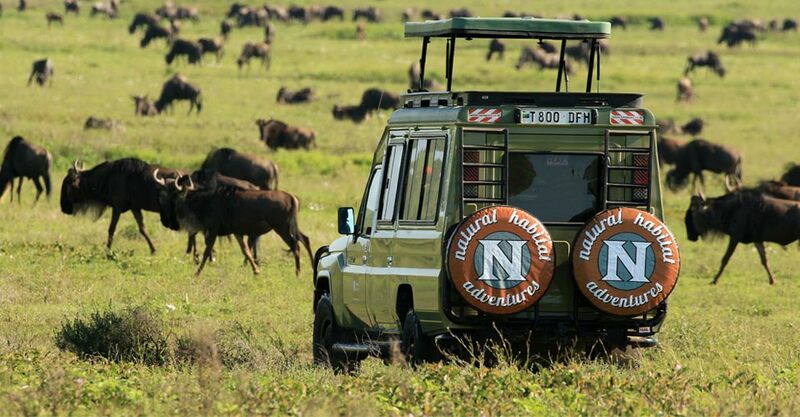 The camp’s mobility allows us to follow the herds, optimizing our chances to witness the migration and ensuring outstanding wildlife viewing at all times. 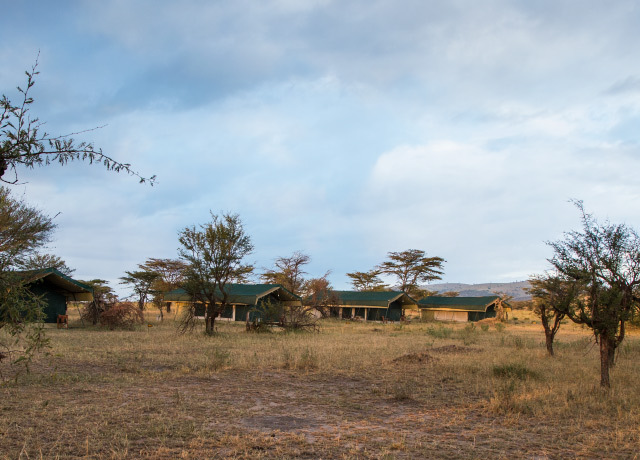 From December until March, the camp is ideally situated to intercept the migration in the Southern Serengeti. From June through October, the camp is positioned to intercept the migration in the Northern Serengeti. 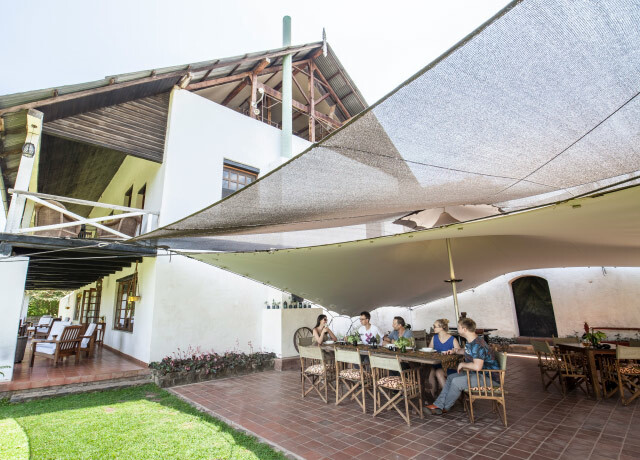 The camp is comprised of eight canvas tents with two lounge/dining areas. 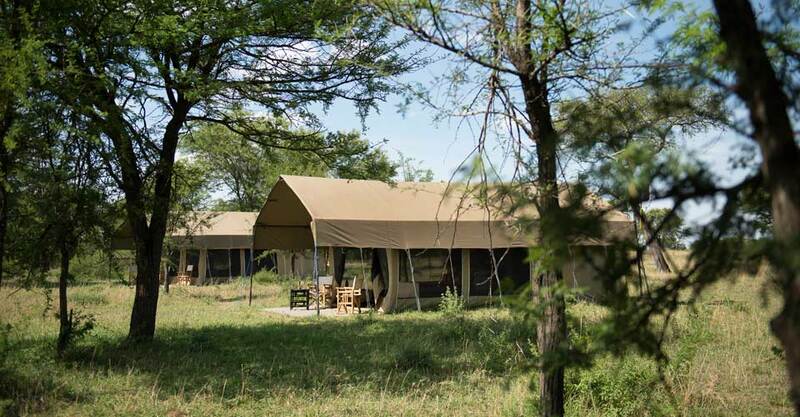 Each tent is either a twin or double (triples are also available) with toilets and safari-style bucket showers in en suite bathrooms. The open communal area surveys the plains, so you can enjoy wildlife viewing over a drink as you relax in the lounge or bar. 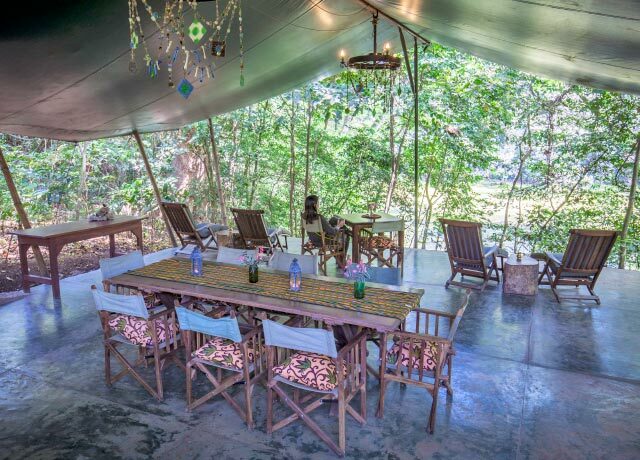 The dining room, also set beneath canvas, offers a classic bush dining experience. And after dark, classic lanterns provide a romantic glow throughout camp. 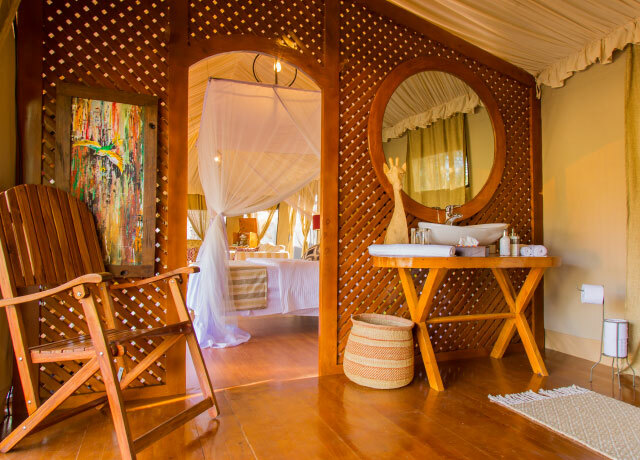 Guests will enjoy the intimate ambience of this traditional canvas safari camp that provides an authentic experience of the wild Serengeti as much as it does rustic luxuries. Our close-knit Tanzanian camp staff ensures that personalized hospitality, excellent food, and a warm, relaxed environment are hallmarks of a stay at our Migration Base Camp. And, since our staff follows the migration with our camp year-round, they are a font of detailed information about the wildlife and the overall experience.